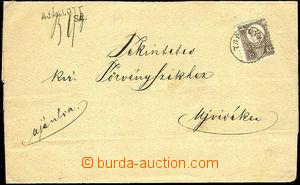 1871 1871 - Mi.5b 15Kr on registered folded letter tied with DOROZSMA 18/7, incoming Raczkeve 19/7 + tranzit Szeged, comes with sending receipt.Folded in very good shape. 1951 newspaper wrapper from mailing to Czechoslovakia, with Mi.2x 1070, CDS Budapest. 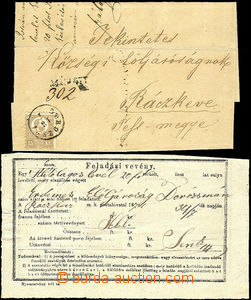 1872 1872 bigger part of postal stationary Mi.A2 with Mi.4, cnl. Szalonta/ 23.4.72, addressed to Bratislavy, on reverse Pozsony/ 24.4.72, 2x vertical bend and 1x horisontal. Overall appealing! 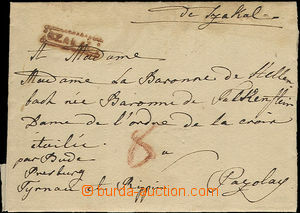 1894 cash paid/franked money letter, CDS Budapest 94 Oct.23., on reverse arrival postmark Zolyom 94 Oct.24., good condition seal, perfect condition! 1922 PC 20f, Mi.P63 richly uprated 6 pcs of stamp. 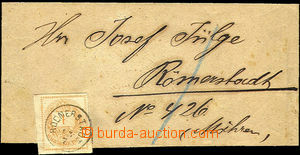 and to Switzerland, CDS Lesenczetomaj 922 Apr.29.